I needed the right strategy to move my business forward. 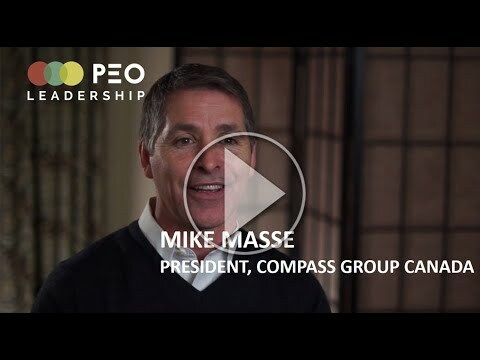 With PEO and its enlightening methods, we pushed my business forward with momentum still building one year later… we’ve experienced double-digit growth. 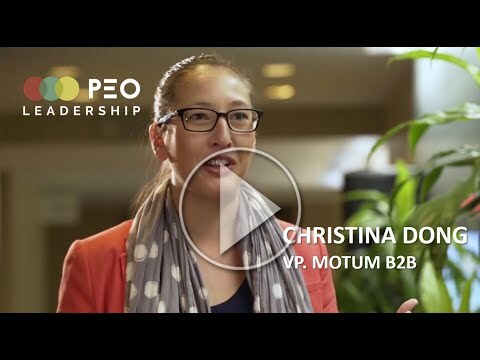 The PEO experience is invaluable — I look no further for help! 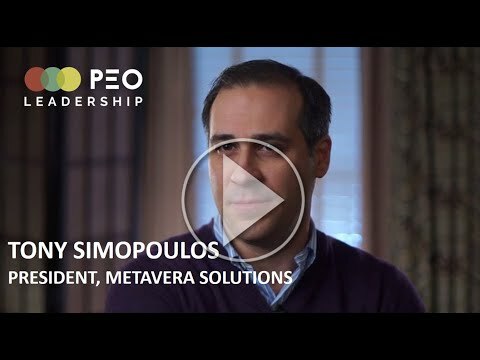 The executives I’ve met through PEO have provided me with invaluable insights and learning. Business is always tough…. it’s good to have a reality check, and to collaborate with CEOs facing similar business challenges. I am the President, CEO and Founder of two very different but very active and growing companies. I also have an active and still growing family as well as outside interests such as sports and music. I have no time to waste. I am especially hard on what I perceive as solicitations. Many years ago when the receptionist told me that Leon Goren would like to see me, although he did get my name from an acquaintance, my main goal was to get rid of him as quickly as possible. Now here I am giving a testimonial to an organization of which I am one of the longest active members of. How did this happen? One of the skills most entrepreneurs must have is quick instincts – with products and people. I sensed Leon Goren and the organization he represented, PEO, to be of great value. I have never been disappointed. Every meeting and every speaker I have taken away at least one valuable lesson. Leon and his team have also provided key value by coaching my staff in ways I could not, and even helping me set up and lead my Advisory Board. Thank you Leon and PEO! I have been a member of PEO since 2002. In that time, I have thoroughly enjoyed my experience and I know this has helped me evolve as both a Leader and a person. During the course of my membership, I have been in various groups and have met so many amazing business leaders. Your Peer Advisory Board is the best! All the members are there for you and truly want to help. They will challenge you and support you in a way that no other colleague can. Members want to help you be successful and avoid you making any costly mistakes. The PEO facilitators and staff are amazing – always available to assist and guide. The Annual Leadership Conference is a real opportunity to meet members of other Peer Advisory Boards and also listen and learn to innovative leaders. 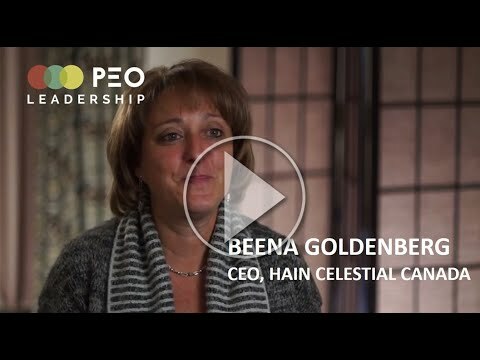 I highly recommend any leader who is interested in growing and challenging themselves to join PEO. Always happy to answer any questions potential new member may have. 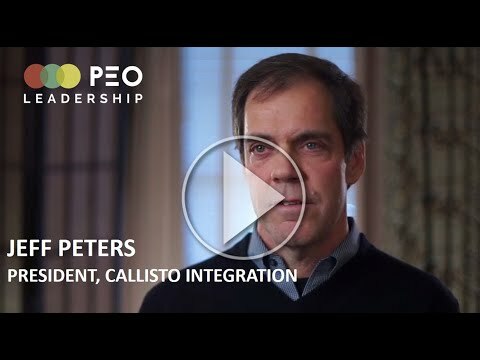 PEO continues to offer me an opportunity to discuss both business and personal challenges and receive insightful feedback from my peers who have usually faced similar situations. I have also enjoyed participating in several networking opportunities such as the Eye of the Executives series. I initially joined PEO to support my onboarding as I was moving into a CEO role and also as a way to expand my local peer network since my business takes me around North America with little time to network back home. I have no problem stating that I have since benefited greatly from my involvement in more ways than I had initially envisioned; from clever business ideas, reliable tips on suppliers or consultants, finding new hires and, last but not least, in my personal growth. 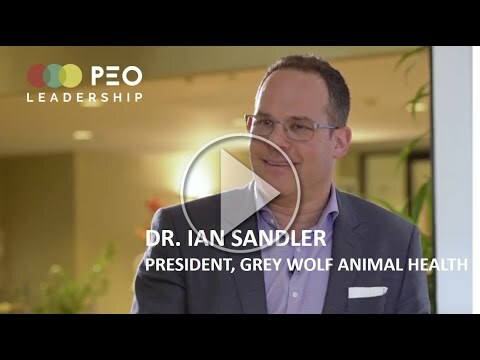 I believe that being a PEO member has helped me become a well-rounded leader and after 9 years, I’m still excited to find out how my peers manage to grow their businesses, steer their organizations through difficult situations or flourish in a career move they had first dreaded making. Seeing how invaluable it has been to me, I have often referenced PEO with acquaintances over the years and I’m happy to do it again in this format. PEO has given me and my company a clear sense of direction, clarity and focus on the strategic imperatives for growth. Pierre also educated my executive team on what strategy is all about, our value proposition in the market, and how to be more focused and accountable for results. I joined PEO in early 2013 at the recommendation of my Board Chair (he was a member). I met with Leon and Mike in order to have a two way interview. Both Leon and Mike asked me some tough questions about our business and our strategy. I was very frustrated by these questions because I did not have good answers. It was that tough, direct, yet fair approach that sold me and I joined on the spot. This is what I’d want from a Board and I was getting it from PEO. 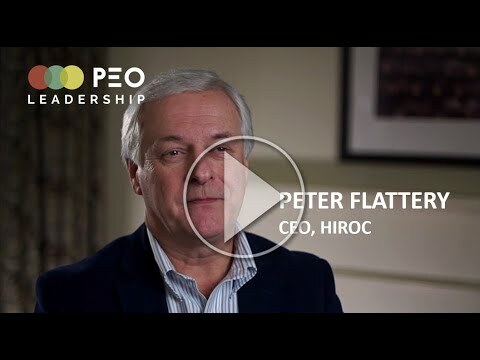 Our PEO Peer Advisory Board has evolved over the 3 years I have been a member to the point where I think we are highly functioning and highly engaged with each other. I feel the vested interest in our business from my team members and I have that same vested interest in them. 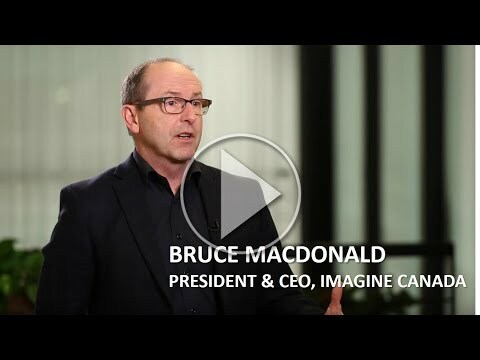 We have a well-balanced and eclectic mix of business leaders. Collectively, there is very little we can’t discuss with each other. Our meetings are effective, timely and productive. I get fair, yet direct and tough feedback from my PEO Peer Advisory Board. I believe I am better at my job because of my PEO team. The annual conferences are exceptional and they are just the cherry on top. As a young leader, regularly engaging with a group of accomplished entrepreneurs has accelerated my leadership development and provided great context to navigate our challenging business environment. 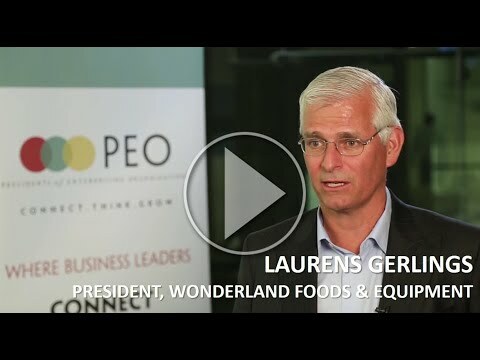 PEO has been an essential part of my growth strategy ever since Leon Goren introduced me to PEO shortly after I founded Stafflink. Since then, Leon and my Peer Advisory Board members have mentored me through 14 years of increasing profitability. Where else can you meet over 100 leaders of Toronto-based companies in a relaxed atmosphere that makes it easy to ask questions and learn? 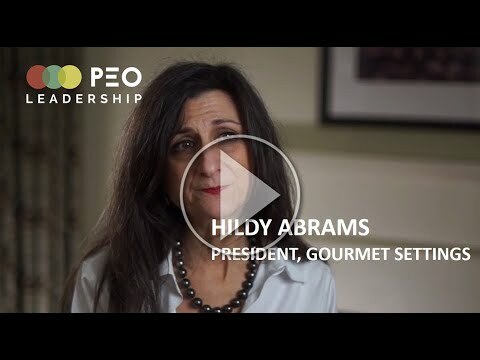 PEO is much more than an executive networking group. The members of my Peer Advisory Board are an instrumental part of Stafflink’s success. We share best practices, learn and help one another when things become difficult. My group challenges and inspires me to achieve goals that are beyond what I could achieve without them. 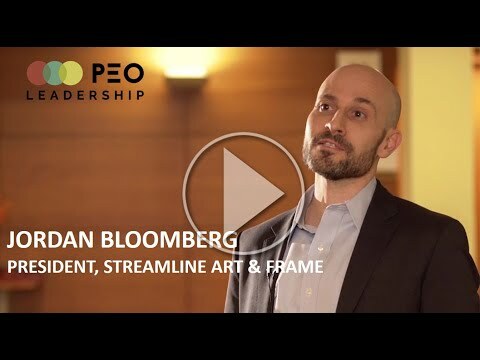 Joining PEO has immediately given me a sense of community – one that I was missing – and connected me to powerful, interesting and inspiring leaders. I feel “at home” despite being a new member. My experience with PEO has already freed me of the burden of feeling all alone in my leadership journey. 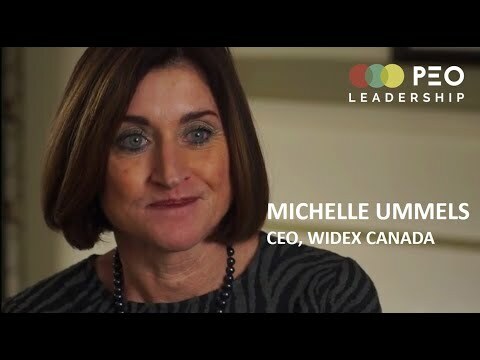 Mindy BerchanskyCEO, PTC Accounting and Finance Inc. 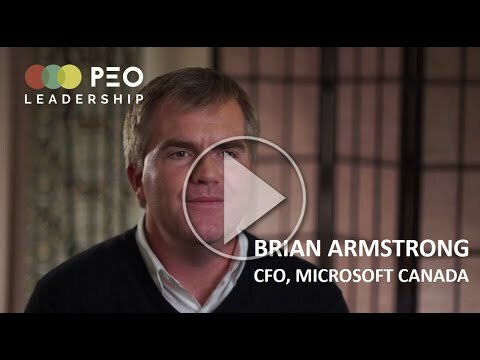 Participation in PEO has been incredibly valuable for me as a leader and for my organization. I think I most appreciate the diverse perspectives offered by my PEO colleagues, the fact that they hold me accountable for work/life balance issues and the ongoing professional development that I have been able to share so that my company benefits. I can be sure I will take away something of importance each and every month. I’ve felt that the bond made with my Peer Advisory Board has been very special, and the members all distinctly complement each other. The genuine caring that is shown around the table is something I value month to month, and I’m very glad to have had the chance to join this unique team of thinkers. I have been incredibly internally focused as I have grown a company over the last 10 years. I have found that the one thing that PEO has done for me is open my eyes to what other leaders think and what they do. It has certainly impacted me and led to a lot of personal growth for me over the last year. 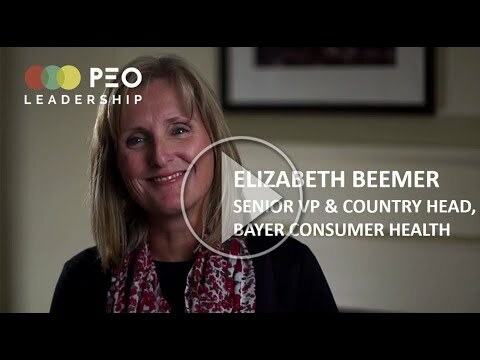 There are many benefits to a PEO membership. These include a great Peer Advisory Board to confirm and/or improve your business decisions and strategies. It’s a good way to get ideas on how to improve your business by learning about other members’ companies as well as to learn from the experience of other business leaders. I also find that the thirty day commitments are a great way to stay focused on your organizational or personal goals. Ryan MurphyPresident, WADE Antenna Inc.
Several years ago, I was looking for an advisory board and PEO was introduced to me. I thought – what better than the opinions of many other business leaders going through similar experiences that I am with my company? I was looking for honest, non-biased and experienced feedback from my peers and the PEO leadership, and that’s just what I got. I’d say that PEO has definitely altered the state of my business and me for the better, in addition to getting a bunch of new friends that care about how I’m doing. I realized that I couldn’t afford NOT to be part of PEO as the added-value was so much more than its membership dues. Steve DesmeulesPresident, ACCU Translation Services Ltd. In this environment where the urgent seems to overpower the important it is so hard to keep things in context. PEO has become the place where I can get that context back. It helps you refocus, question, learn from others experience in what amounts to a safe haven. 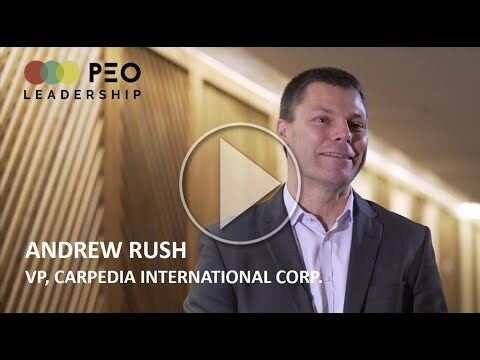 Prior to joining PEO, I spent countless years focusing on my professional career exclusively. PEO made me realize that I need to focus on myself more for the business to realize its potential. I can’t say enough about how PEO has helped me both personally and professionally. 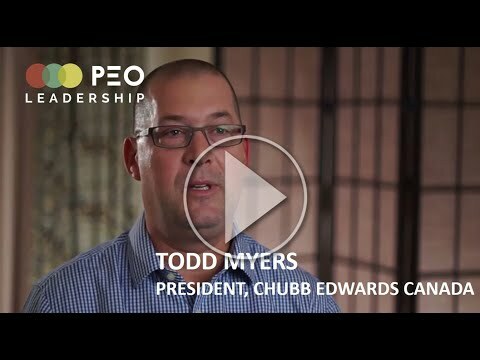 Becoming a PEO member takes commitment and effort; this commitment is not for everyone. 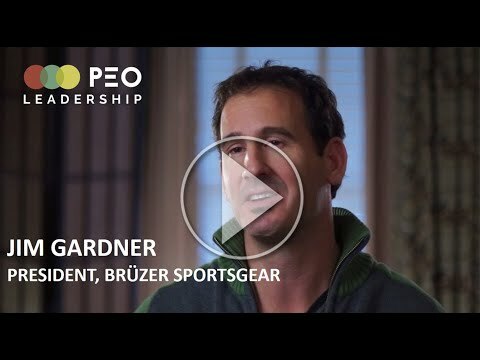 If you are devoted to improving your life and your business, and you have the passion to move outside of your comfort zone in pursuit of your goals and dreams, then a PEO membership is for you.